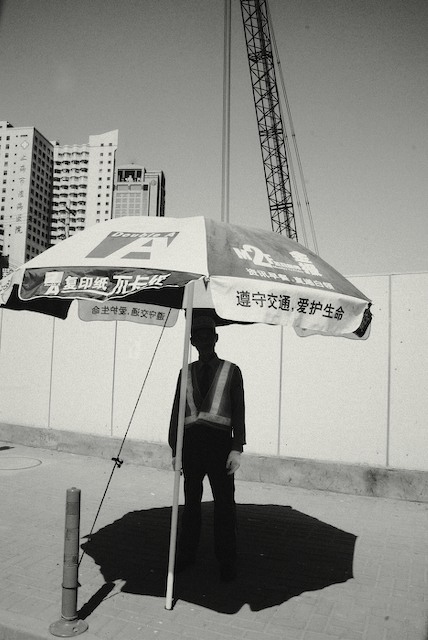 Shanghai-based Ying Tang works as a magazine photographer by day, and moonlights as a charismatic street photographer by night. Her work has been featured in the British Journal Of Photography and numerous other publications, and her Sakura Love Flickr page is a favourite amongst many adoring fans. In this exclusive Invisible Interview, she shares some insight into her beautiful work and what inspires them. 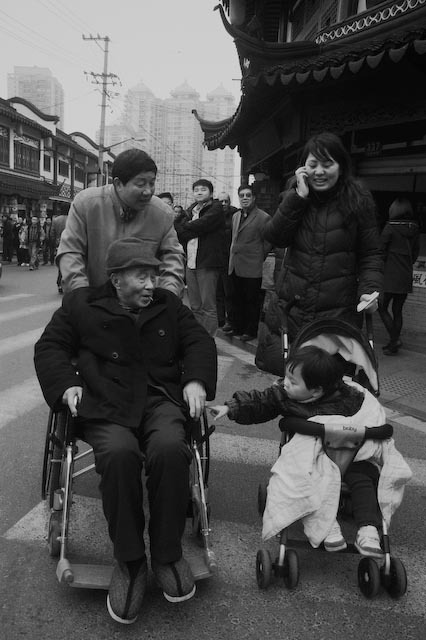 To accompany the interview, Ying Tang has also compiled an exclusive essay of her choice photographs. 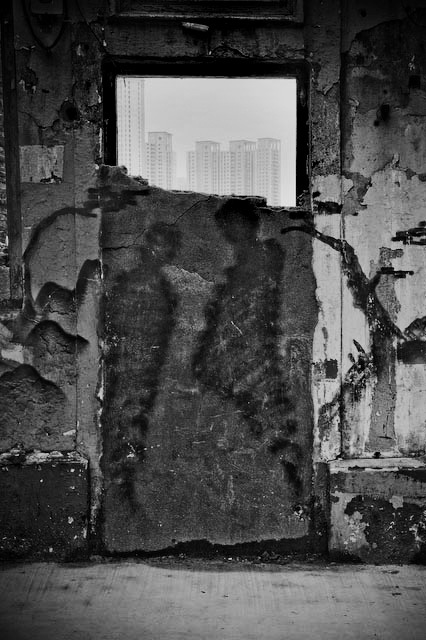 Invisible Photographer Asia: Your street photography in Shanghai is one of the best and most unique we’ve seen, what inspires them? 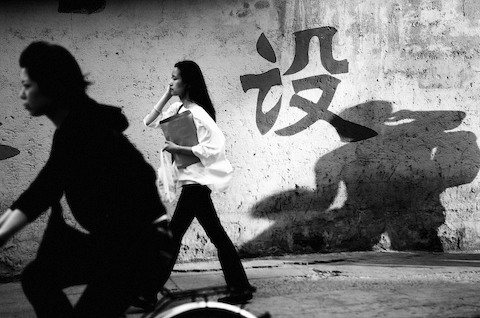 Ying Tang: I am extremely flattered with your comment about my street photography. 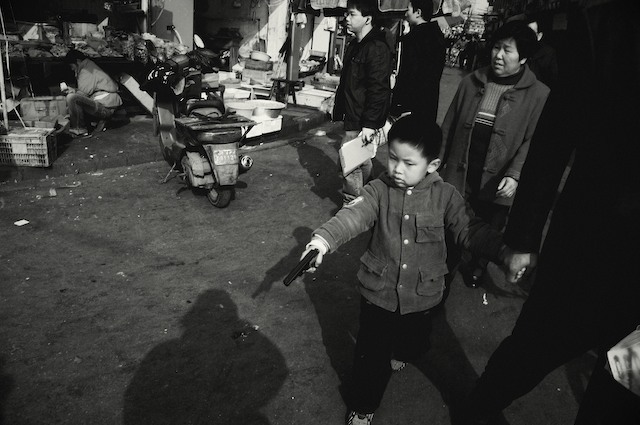 It has been more than four years since I decided to shoot out on the streets. Street photography seems to fit me so well. 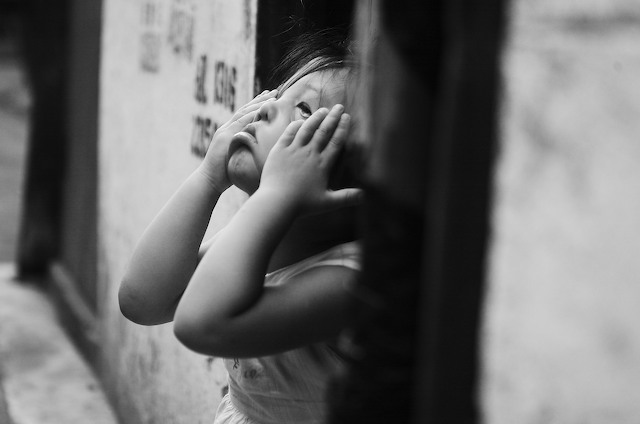 I don’t have money to invest on new cameras or lens, and I can’t travel long distances to work with my subjects – street photography requires neither of those. I can shoot when I have spare time, and document what happens around me. I certainly get a lot of inspiration from past great street photographers, but one big inspiration I will say, is the subject itself – they are the biggest inspiration for me to keep shooting and documenting. 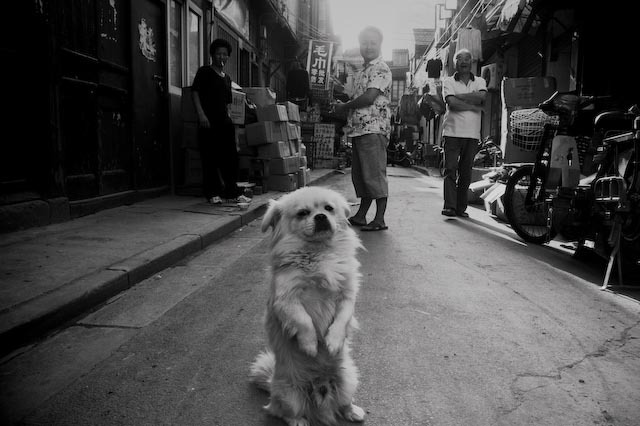 You have a quirky sense for photography subjects – You’ve photographed essays on pet dogs in shanghai, hands, and a chicken farm. How do you go about choosing your subjects? I don’t think I choose any of my subjects. I naturally like dogs, cats, and all animals. I shot them because I really saw a lot of interesting moments. As a street photographer, you don’t typically decide your subject before you shoot then. Everything comes naturally – you see something, you capture them because they interest you visually or emotionally, then at the later stage, you edit them together. My Chicken Business series was a little bit different. I read one day in a newspaper that one of the chicken wholesale markets was closing down very soon, so I decided to approach it to do a documentary before it actually closed down a few weeks later. I went there a couple of times, and talked to the sellers. They were very friendly. The project turned out okay, not much problem at all. 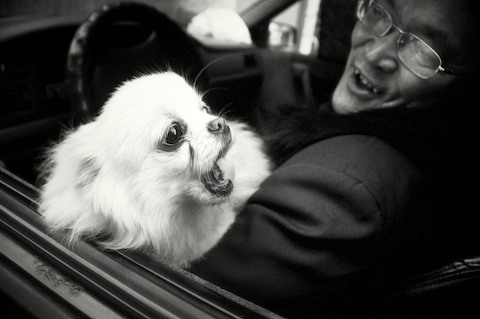 Your Essay on ‘Shanghai Pets’ is thoroughly amusing, and a curious look at Shanghai people we rarely get to see. Can you tell us more about the photographs? I like animals so it is very natural for me to pay more attention to dogs, cats and also birds. Most people who know a little bit of Chinese history understand that a long time ago, people in China could not have a dog because having a pet dog was considered politically incorrect. But this has changed in the past 20 years. More and more new middle class started buying expensive foreign dogs, buying designer outfits for their dogs, and even dyeing their hair. My series is based on the idea of how people relate to the pets they have, and how they interact with each other. You will see so many interesting characters who have pets and try to train them in a way that makes either their dog, cat, or bird unique. You can imagine how much time and energy they spend on them. I think it is a really interesting subject for me to document. Can you tell us what cameras and tools you use to photograph and why you use them? Digital or Film? I started street photography four years ago. 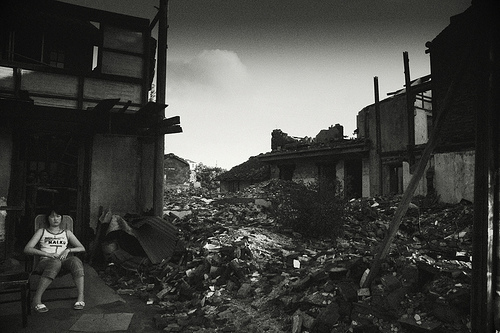 I had my Nikon D100, and my standard lens was a 18-70mm f4. I started to use a Nikon D200 this year, but still with the same lens. I think most people will prefer to shoot with film, because it gives you much better control with the images. When you shoot with digital, you don’t have a lot control if you shoot in a very contrasty situation. But the advantage for digital is that you can shoot more. For me, it is a great advantage. When I started shooting four years ago, the digital camera allowed me to understand how to shoot right, and to understand the light. Film is still too expensive for me nowadays so that is one reason I stick with my digital. I think beautiful black and white film is cool, but more importantly I have to first understand my camera and my lens, like a friend. I need to understand what the limitations of my camera and lens are to know when to shoot, how to shoot and where to shoot, in order to make a good image. To get the best camera is not necessary, how much you understand your tool and making it work for you is. That is how I see it. What is your photography technique, or philosophy perhaps? 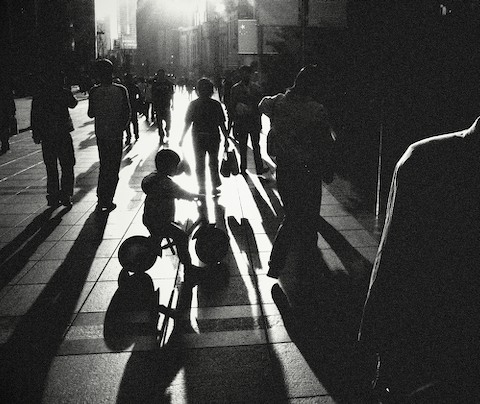 And what three words would you use to describe your street photography? I think “black and white”, “close” and “story”. I think in a way where my camera and lens set up my starting point of how I should shoot. I have to get certain closeness in order to get my picture right. I typically only shoot 18mm so a lot times I have to get pretty close to my subjects. My subject can see me at this close range so it is a bit of a challenge sometimes. But I think because of that, my pictures show more or less what your own eyes exactly sees. In some ways, it shows more truth of how exactly the streets look like. I think this is one very important value for my street photography. What’s your personal favourite of the photographs you’ve taken, and why is it special to you? All my images have different memories for me so it is hard to pick one. Every single image has a moment I wanted to capture, or maybe a person I wanted to remember at that certain moment. Looking through old images, I really can relive the moment I captured it. They are all special to me. You shoot in colour and black & white, any reason and preference to shoot one over the other? 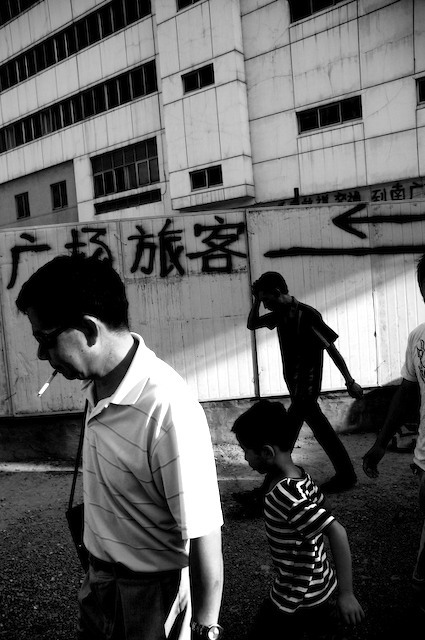 I like to use black and white in most of my images, and maybe that is how I started my street photography. 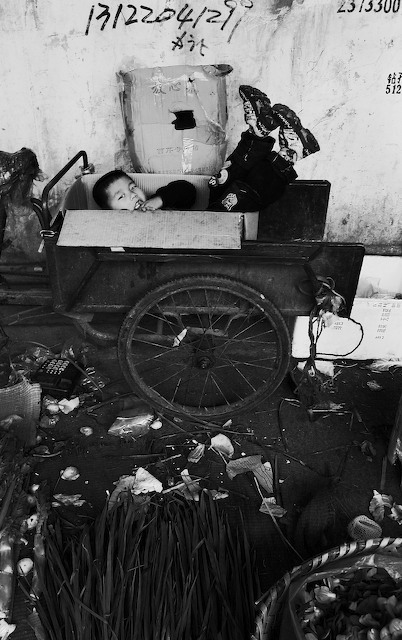 I think black and white images show a much more interesting mood of Shanghai. Black and white also tends to focus more on the story compared with color images. 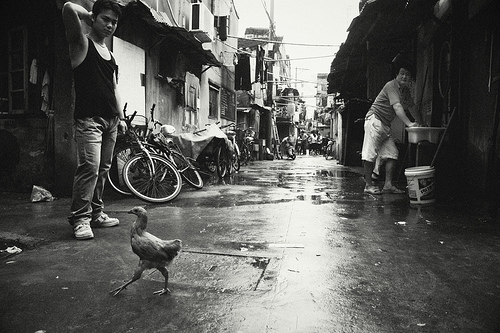 Shanghai streets are a bit chaotic. Currently there are lots of construction going on at the same time, so for me, black and white works better. You’ve spent considerable time in Shanghai, Japan and the US, has this colored the way you view and photograph the world? I think I have really spent a lot of years living in foreign countries so this might bring some kind curiosity when I view a new country. I try to see things like how a little baby will see the world. I hope my images reflect that. You have a day job as a Magazine photographer, how does that experience differ for you from being a street photographer? Working professionally as a photographer has a bit of advantage because I don’t have to work full-time. I can use my free time to go out into the streets and shoot. Working for assignments is really different because I will have to finish a series of images for the editor to pick from. Working on street photography, I am the only editor so I have much more freedom to decide how to shoot, and if I want to shoot or not. Once a while I may even try something I’ve never tried, like combining flash with movement. It is fun to try things for my own projects which I can’t do too much of for my assignments. The assignment editor has his or her own tastes about what kind of photographs they want to have, and I have to deliver them. 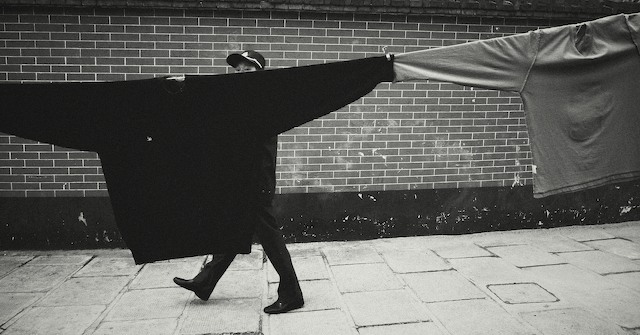 How does it feel to be a female street photographer in Shanghai? Just like in any kind of career, being female sometimes make it unique. I think especially with photography, people tend to be a bit more relaxed if they are aware that the photographer is female. And if your subject is a female herself, she will feel less hostile against you. My point of view as a street photographer may also be a bit different to a male photographer’s. I am a bit more focused on details, and I have a lot of pictures of dogs and kids. Maybe that is a female instinct. I don’t know, I just like shooting what interests me. You mentioned in another interview that you feel street photography is changing, becoming more constructed and art directed. How do you feel about this, and have you tried this approach? 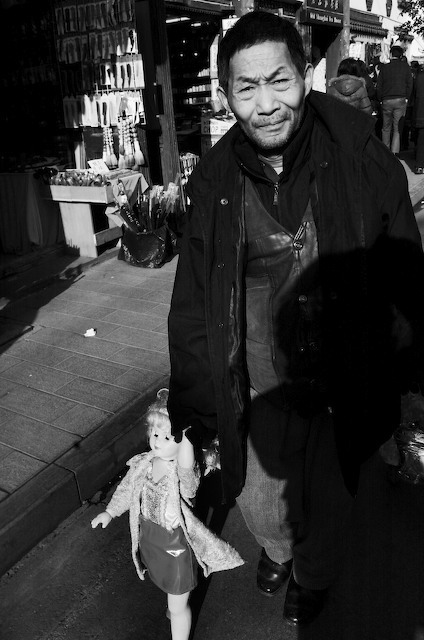 In America, street photography is classified as fine art, and have been collecting value as fine art. 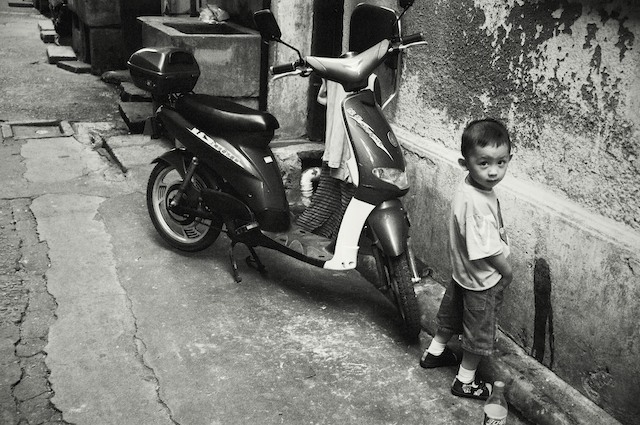 I will say street photography generally belongs to fine art photography. 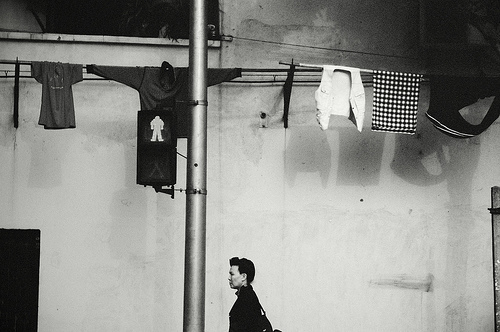 However we currently see more abstract, more surrealistic work amongst the street photographers. I think in some ways it illustrates how people today tend to interpret the world around us. Like the famous Trent Park’s Dream/Life & Beyond series about dreams – that is a perfect example. I do try to include some kind of surrealistic elements in my photos, but I am still a big fan of the traditional documentary style of street photography. I personally think the documentary style has much stronger historic value which really increases after years passing. That is why I will still stick with my own way of shooting. Are you working on any photography projects at the moment? As a street photographer, I never stop taking pictures so my projects are always going to be wherever I am moving to next. Currently I am living in Cologne, and I’m still shooting. Yes, great work indeed. Enjoyed the interview too! love this. really beautiful work, ying.